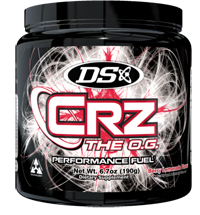 Home / Pre Workout / Driven Sports CRZ – The O.G Craze, 30sv, 24 Hour Flash Special!! 24 Hour Flash Special – buy 1 bottle for 39.99 or 2 for 37.99 each!! Buy 2 or more bottles of Driven Sports CRZ – The O.G Craze for only 38.99 each with free shipping!! Why does this not have creatine? Can I stack this with creatine/citrulline/agmatine? Yes, all of the above. We trialed each successfully with the rest of the formula and they really add to it, but we had too many hygroscopic issues with the powder to include them permanently. Why does this powder not look like old Craze? Because it’s not old Craze. How late can I take this? Your mileage may vary. Some reports say they get 9-12hrs of energy from a serving. Others are in the 5-6 hour range. How can I maximize the effects of this? Ideally take on an empty stomach, or at least 2-3hrs after your last meal. It’s not critical but it does appear to be best. If needs be you can eat a small meal around 30 minutes later. How fast does it kick in? It’s a bit of a sleeper actually. Give it a good thirty minutes before the effects start to really come on. Here it is. Five years of sweat. Some from the hard work that went into developing this formula, and the rest brought on by taking countless versions of it. Endless trial and error, testing of hunches and theories, and headaches trying to source never-before used ingredients. And too many late nights wondering when that stim-effect was going to wear off so we could finally get some sleep, just `to wake up and do the exact same thing the next day with some minor component tweaked. While other companies in the industry are hyping up their fan bases by branching out into new clothing lines and selling branded backpacks, we’re over here doing the “heavy lifting.” We’re a company that’s focused on helping our customers achieve physical milestones. Looking fashionable while you do that is up to you. We’ve seen what’s out there, and we know that most pre-workout users haven’t been using anything stronger than a large cup of coffee for years. We’ve done something about that. Why is it The O.G.? Because with this design we’re returning to what made Craze® great in the first place. We’re talking about a great-feeling experience that’s highly motivating and energizing, but free of those uncomfortable jitters. A good pre-workout is supposed to light a fire under you – not make you feel like you’re trapped in one. 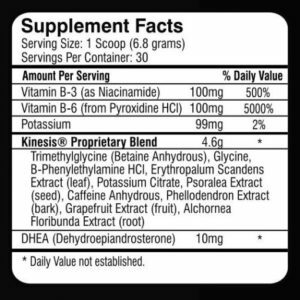 We’ve been asked about the “lack of pump ingredients” in this formula. As we said with original Craze®, the best pumps come from the best workouts. So if CRZ helps you take care of the workout, the pump will come along for the ride. That’s inevitable when you’re pushing yourself to your limits. In sports supplements, ingredients should be included not only to achieve their primary known ergogenic effects, but also to replace what may be depleted as a result of accompanying ingredients. This is a formulation aspect almost no other company considers. We’ve seen some eyebrows and questions raised due to the presence of DHEA in CRZ. Its inclusion is demanded by our working philosophy of Multiple Pathway Technology. Like each other ingredient in the blend, it serves to amplify the synergy of the whole. The incredible reviews for CRZ have validated our lengthy and rigorous design process. Almost across the board we received reports of great, lasting energy, increased mind-muscle connection, strong mood boosting effects, and NO CRASH. And these reviews follow samples sent to interested Facebook and Instagram followers chosen at random, not from industry buddies, friends and coworkers, or other covert shills.